Perhaps your old windows are cracking and starting to show signs of age. It may be time to replace them with something better. More and more people in the UK are choosing wooden windows for their homes and here are several good reasons to consider the many benefits of wood. Appearance is important, and there is something about wood that no other material can match. It’s colour, texture, and feel is often imitated but cannot be successfully duplicated. A home with beautiful wood windows is impressive, and something you can be proud of. Many window types are made from metal or vinyl and this can present a cold or impersonal appearance. On the other hand, wood has a warm and inviting look, and says, “Come in and stay at while, ” to your guests. In addition, wood will go with just about any kind of decor that you have, as it is relatively neutral. When you choose wood, you have one of the most versatile selections on the market today. For example, a light coloured wood can be stained from very light to very dark. You also have the choice of painting wood. This way, it will perfectly match the colour scheme of your house exterior. Maybe you like a red house with white trim. Next year, you might want a brown house with yellow trim. Wood can be painted any colour that you like. When you want a traditional look for a house, wood is the best choice. This is especially important if your home is a restoration project. Many older homes use wood for the window frames, and for an authentic appearance you must use wood. Perhaps you are not planning on keeping your home for too long. That is all the more reason to make it look as good as possible. Whether you plan to put your home on the market soon, or next year, a more impressive home is easier to sell. One of the first things potential home buyers see is the home exterior, and if they are not impressed, they might not even bother to come inside and look at the rest of the house. If you are interested in saving money on utility bills, wood is a good option. It has natural insulating ability that will help to keep the home interior warmer in winter and cooler in summer. You also can purchase wood frame windows that are highly energy efficient, if you wish to see a greater return on your investment. Wood doesn’t crack with age, like many kinds of modern window products. When properly maintained, a quality set of wood frame windows will last for many decades. Plus, you are making an eco friendly choice when you choose a sustainable material for your house. 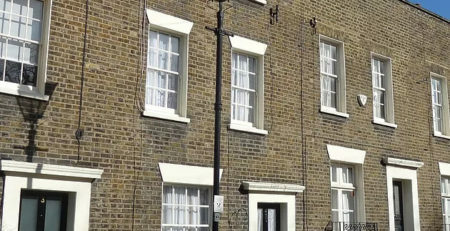 A top London wooden window repair and replacement service can give you the best timber windows for your home without going over your budget. Plus, they also provide sash window repair and restoration services that you can trust, and it only takes a phone call to find out more details.